Life Insurance Companies in Florida can no longer suppress valuable information from Life Insurance policy owners. The Prohibited Insurance Acts Bill, or HB 1007, now forces Life Insurance companies to allow the disclosure of alternative options available to life insurance policy owners who are considering lapsing, surrendering, or canceling their Life Insurance policy. The Florida Life Insurance Law requires Florida Insurance Companies to create designated Anti-Fraud Departments and hire an employee who is solely focused on anti-fraud oversight. Life Insurance Consumer Advocates have long argued against the Life Insurance Industry’s common practice of preventing many life insurance agents from disclosing the availability of alternatives, such as life settlements, under threat of punishment or firing. 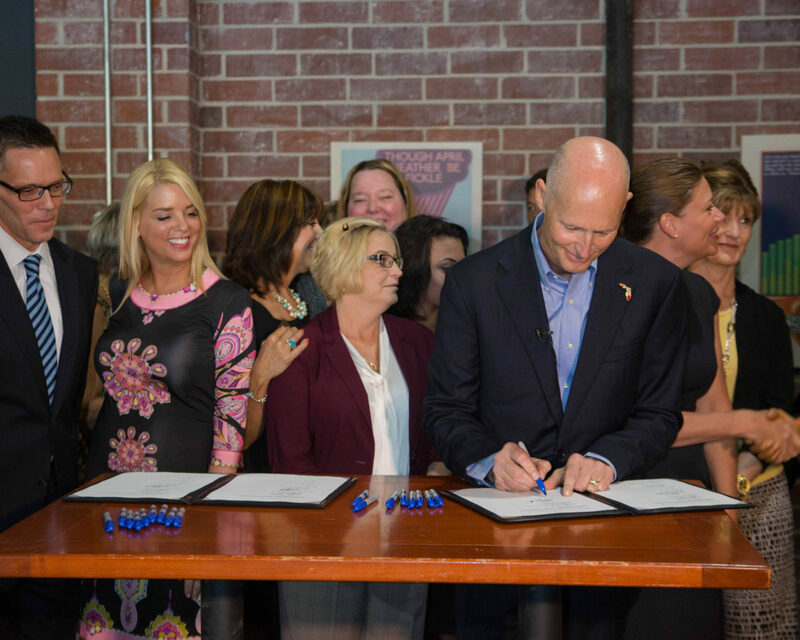 The passage of the Prohibited Insurance Acts Bill puts Florida into the ever-growing group of states that have enacted similar Life Insurance Consumer Protections which open up alternatives to canceling or surrendering insurance. Other states currently include Maine, Wisconsin, Kentucky, Oregon, Washington, California, and Georgia. The passage of the bill also coincides with the upholding of the pending Department of Labor’s (DOL) Fiduciary Rule, which has left life insurance agents and advisors in the precarious position of needing to consider both suitability of a life insurance product, as well as fiduciary requirements which may change due to the policy owner’s personal, medical, and financial position. These developments are great news for life insurance policy owners, who until now have potentially lost out on billions of dollars. It is estimated that over $100 Billion of life insurance that could potentially be sold lapses and cancels each year. Policy owners in Florida should now be made aware of all of their life settlement options. A life settlement allows policy owners to sell their life insurance policy in the secondary market when they no longer need or can no longer afford their policy, need to supplement fixed retirement incomes, or have been diagnosed with chronic or terminal illness. It’s not uncommon for a life settlement company’s payout to be as much as 5-10 times larger than surrendering for existing cash value or canceling a life insurance policy entirely. That’s because when a policy owner surrenders their life insurance policy, the Life Insurance Company commonly keeps the bulk of the premiums that have been paid. When an insured stops paying and lapses their life insurance policy, that is best case scenario for a Life Insurance Company, because the Company keeps the premiums which have been paid and the policy owner ends up with absolutely nothing in most cases. Thankfully, states like Florida are fighting back by making sure that life insurance policy owners have access to all the information and options, so that they can choose what works best for them. If you own a life insurance policy, you have many options, including selling your life insurance policy, that have been kept from you. Viatical.org assists with free, no obligation appraisals that may uncover a significant hidden value in your life insurance policy. If you qualify for a life settlement solution, we’ll connect you directly with a licensed buyer in your state and assist you with the paperwork involved in selling your policy direct. The choice to accept an offer is entirely up to you. This is your life insurance asset, and you’re always in control. Contact Viatical.org, and learn about your no-obligation options today.